Many of you know that I've been living and teaching in Winnipeg for the past two years. 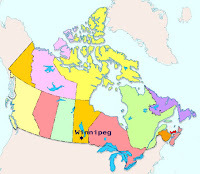 ( Winnipeg is in the province of Manitoba. It's nowhere near Toronto or Vancouver. It's literally the "center" of the country. It's the coldest city in the world of cities of 500,000 or more. Look it up if you don't believe me.) And I've posted about my exploits and so forth in Winnipeg a bunch of times. I figured since I am a resident of Canada and I don't need a work permit, I should try to make it to some of the other fine cities in this northerly nation. Next stop on my "tour" of Canada was Vancouver for a weekend stint at Vancouver's best jazz club, The Cellar. This venue is owned by Cory Weeds, who is a great musician himself. 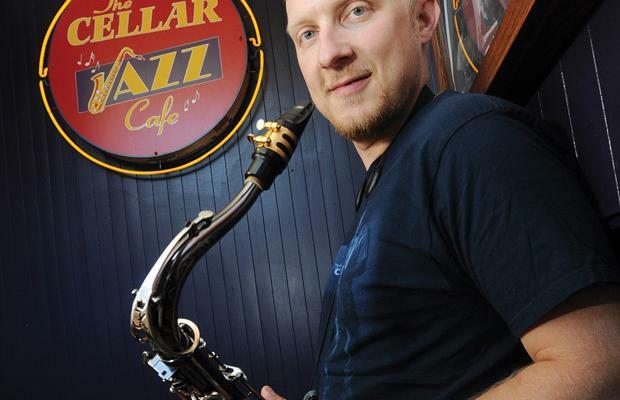 It's rare for musicians to be successful in opening and maintaining jazz clubs. Weeds is a rare breed in that he is able to balance respect for the musicians and also respect the bottom line as well. He's kept it going for 11 years, which is no easy feat. I wanted jazztruth readers to get a sense of the Vancouver scene, so I asked a few questions of Weeds and Cahill. GC: Cory, why did you open The Cellar? Cory Weeds: Why did I open The Cellar.... I have been asking myself that question every day for the past 11 years! Seriously though, I opened it in 2000 because at the time there was a bit of a lull in Vancouver jazz wise and I was having trouble finding a place I could go to hear the people that I grew up listening to like Cam Ryga, Ross Taggart, Oliver Gannon ... that was my prime motivation. GC: Why do you think The Cellar is important? I think The Cellar is important to the Vancouver scene because its really the only place that musicians can come and play their own music and not be told to turn down, play standards. We are essentially a theatre that happens to have a restaurant in it. We ask that people listen to the music. There aren't any other clubs in this city that do that. GC: What's it like being a club owner? There are have been so many great experiences being a club owner. The playing opportunities that have come my way because I own The Cellar are to numerous to count and the great music that I have had the pleasure of hearing on a nightly basis whether it be someone from New York or one of the many great bands from right here in Vancouver has been inspiring. GC: Have you had any bad experiences? Bad experiences? Well, it's a jazz club and the financial strains of being involved in such a venture have definitely taken their toll on me and dealing with that stress continues to be an ongoing learning process. 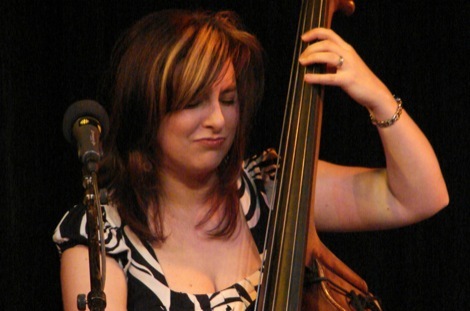 GC:What's the jazz scene like in Vancouver? 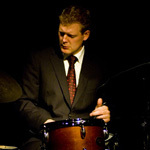 Jesse Cahill: Vancouver has a very diverse Jazz scene that spans many sub genres of the music. We have everything from world class contemporary improvisers to tremendous straight ahead bebop players and everything in between. GC:Why is The Cellar important to you and the the scene in Vancouver? JC: The Cellar is an outstanding venue that provides a stage for musicians to perform their music to a listening audience. The crowd at the Cellar has become accustomed to seeing the top local, national and international artists in various configurations. As an artist it's refreshing to present your music and have it be the centre of attention as opposed to simply background furnishings. It was great having you hear George. You guys sounded fantastic and I'm really glad for all of us that you had a good crowd! New Orleans has a distinctive stylistic tradition, sure, but there's also a tradition of great musicianship. Greg definitely fits that category.